St. Mary of Gostyn Parish is a welcoming, faith-sharing Christian community rooted in scripture and Catholic tradition. We are called by God through the Holy Spirit to nurture and minister to the spiritual needs of all through prayer, liturgy, education and service. St. Mary of Gostyn Parish, the oldest Catholic church in Downers Grove, was founded by poor immigrants who came from Gostyn, Poland, shortly after the American Civil War. By the 1880’s, Polish-speaking priests from Chicago were regularly serving this rural settlement. Masses were said in homes or tents because there was no church. In 1891, immigrants from Gostyn Poland living “in the country” outside of Chicago petitioned the Archbishop of Chicago for a Polish National Church. This request was denied because it seemed the small number of families would be unable to build and support a church and parish. At that time there were no Catholic churches between LaGrange and Naperville. Eventually, land for a church, rectory and convent was donated by a parishioner. In 1891, the Chicago Archdiocese approved the establishment of a parish that would include non-Polish Catholics from the Downers Grove area. With the Archbishop’s blessing, volunteers constructed a wooden, tarpaper covered church on a plot of land donated by a group of parishioners. With a mere 13 pews seating 25 families, St. Mary of Gostyn set its roots. It was located on the site of our present rectory. The first rectory was built on Douglas Street in 1895. 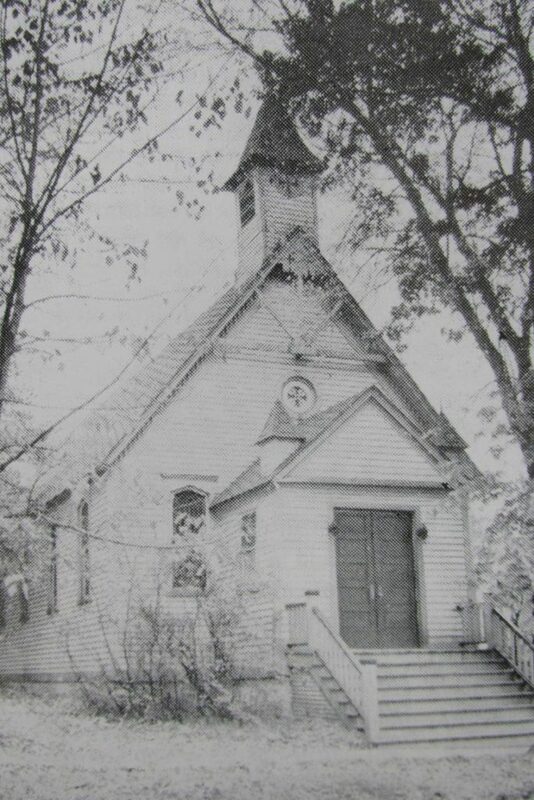 Soon after the launch of the church, St. Mary of Gostyn School opened a one-room wooden schoolhouse in 1897. It was the first parochial school in Downers Grove and the only parochial school between LaGrange and Naperville. The arrival of two Franciscan Sisters of Our Lady of Perpetual Help in 1916 signaled the beginning of a tradition that carries on today. Our tradition of religious women teaching at St. Mary expanded when Felician Sisters came to our school in the fall of 1918. Members of their order are still with us today. In 1920, a combination school and convent was built on the southeast corner of Douglas and Prairie. After World War II, a brick church, seating 220 people, was built on the northeast corner of Douglas and Wilson Streets and dedicated in 1948. One year later in 1949, St. Mary of Gostyn became part of the Joliet Diocese and the congregation totaled 400 parishioners making up 130 families. By the 1950s, St. Mary of Gostyn was growing at a rapid pace. In 1953 St. Mary’s was made a territorial parish for surrounding growing populations to practice their faith. In 1954 a three-story structure was built on the northeast corner of Prairie and Douglas to serve the budding school. Then, in 1957, a new convent (now the Parish Center) was built across the street to house the nuns who taught at the school. A convent and the current rectory were built in 1954 and 1957 respectively. Catechism classes for public school children were introduced about this same time. In 1962, the church was moved from Wilson and Douglas to the southeast corner of Prairie and Douglas (our present day church location). Its construction encompassed much of 1963 and 1964, celebrating the first Mass on December 20, 1964. Due to the illness of then Bishop Martin McNamara, the church was not dedicated until March, 1966. This church structure served the needs of the parish for over 30 years until in 2002, the church underwent a significant renovation. Our renovated church was dedicated in 2002 and serves a new generation of parishioners while built upon the solid foundation of the parish through the years. As for the school, an addition in 1978 added classrooms and a gymnasium to the original three-story building. The facility was dedicated by Bishop Romeo Blanchette in August of 1978. In 1995, St. Mary of Gostyn introduced a kindergarten program and a pre-school program in 1999; thereby creating a complete Catholic education. For over a century, the continuous growth of our school has allowed children ages three to fourteen to experience an education enriched by their Catholic faith at St. Mary of Gostyn. For 125 years St. Mary of Gostyn has been rich in FAITH, EDUCATION, SERVICE, COMMUNITY. Currently, Father James Schwab is the 26th pastor to lead our parish. Far from the humble beginning of 25 families, today 2,700 families make up St. Mary of Gostyn. Over 400 students are enrolled in Pre-School through 8th Grade at St. Mary School and over 500 children attend religious education classes. In addition, over 100 ministries provide service our parishioners, our Downers Grove Community, and neighbors in other towns, states and countries. With a tradition rich in faith, education, service and community, our parish continues towards a bright future enriching faith life, educating on Catholicism, serving those in need, and enjoying our close community. Welcome to St. Mary of Gostyn – a history of many parts, but one body.